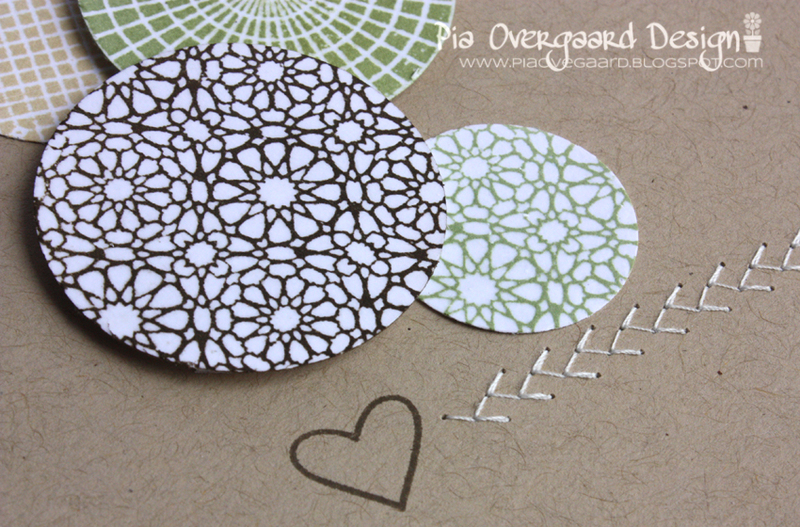 Everybody loves the wonderful technique Resist Embossing! Myself included, and I have been making af few cards lately with this wonderful technique. I love the wow effect it gives when you start adding color to the embossed images!! Today there is a new challenge up at Lily Pad Cards challenging you to use that particular technique. Please do not forget to go to the Lily Pad Cards site to check out the rest of the inspirational cards (you are in for a treat !) and the details (any kind of resist goes). Also there is a great list of tutorial links for this technique - if you haven't tried it before. I hope you feel inspired to play along - I am sure you can't resist :-) ! So pretty, Pia! Love all your circles and this wonderful design! I love this, Pia! 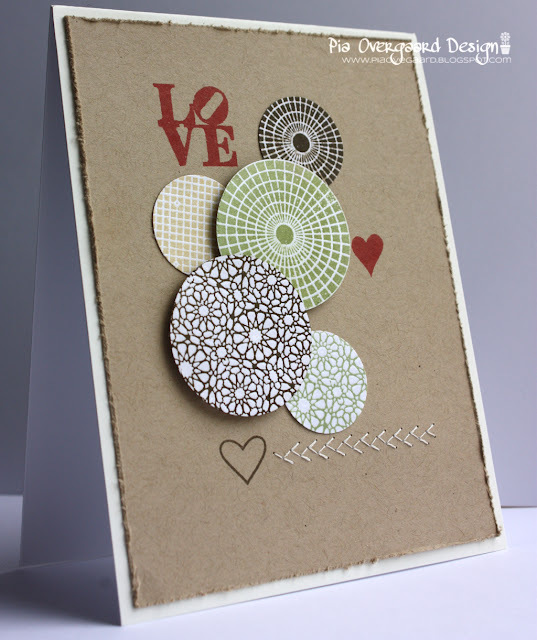 The ink distressed circles are gorgeous! Ha' en rigtig god weekend!!! Love the colors and the design! Really makes a lovely statement that resist doesn't always have to be so 'girly'! Love this retro style card Pia and the line of stitching is a great touch! Wow Pia, hvor er det bare sejt. Kanon flot :-) er vild med den lille detalje med syningen. Just love this one! Those circles are great! Love the fun, circular shapes, gives it so much dimension, Pia!